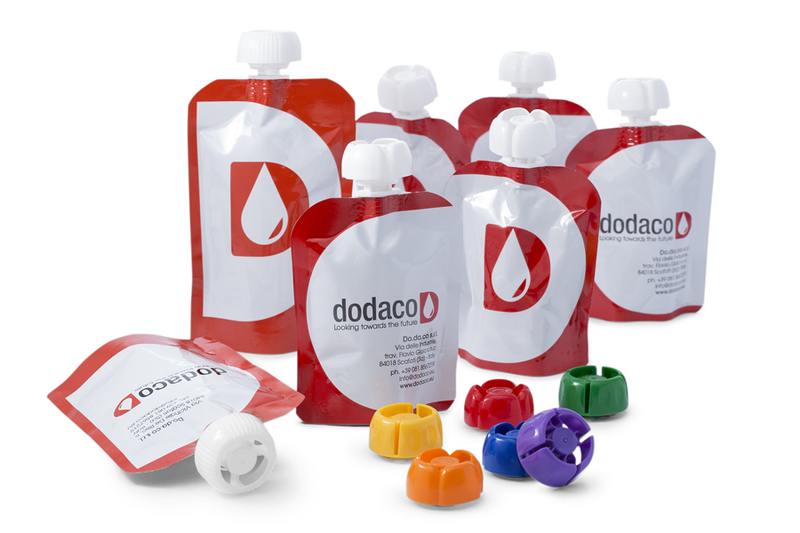 Dodaco is a co-packer company specialising in filling various types of flexible food packaging in polylaminate (or spout pouch), such as Doypack and Cheerpack. We take care of packaging fruit, vegetable and dairy products in spout pouches for Italian and international private labels and distributors. Dodaco was founded in 2014 by Luigi Coppola, former Managing Director of Coppola SpA. The latter, a company operating in the food preserving sector since 1960, had specialised in the production of fruit and vegetable purees and baby food. Dodaco is therefore created with the aim of packing food and beverages in ready-to-sell and innovative packaging: the polylaminate spout pouch of the Doypack and Cheerpack type. From the choice of raw materials to the mixing and composition of the recipes, to the distribution of the finished product, we at Dodaco support our customers with professionalism and cutting-edge technology in order to ensure the proper food and beverage conservation in flexible packaging made with different types of polylaminates. We are a co-packer company specialising in puree, smoothies, juices and nectars of fruit and vegetables, cereals, spices and dairy products of the highest quality, without the addition of preservatives, acidifiers, sugars or other additives. The various types of spout pouch that we use are particularly in line with the needs of companies producing baby food and nutraceutical products, but they are suitable for any type of liquid or semi-liquid food. The packaging of products based on yogurt or cereals and supplements for sportspeople enriched with vitamins or energisers is increasingly required. Dodaco is therefore aimed at all companies operating in the fruit and vegetable and organic market, as well as those focused on products for sports, with the aim of providing highly customised and quality solutions suitable for the nutrition of babies, young people, adults and the elderly , even when subjected to diets with specific needs (Kosher, Halal, vegan, gluten free, energising).